Occupied East Jerusalem – One evening in October, Adeeb Joudeh woke up at around 1:30am with news that Jewish settlers were moving into his former house in the Old City. Joudeh was in shock as he had sold his house to Khaled Attari, a Palestinian businessman, just six months ago, after spending six years trying to find a trustworthy buyer. “For the whole family, it’s like the sky has fallen on our heads,” Joudeh told Al Jazeera from his parents’ house in Sheikh Jarrah. 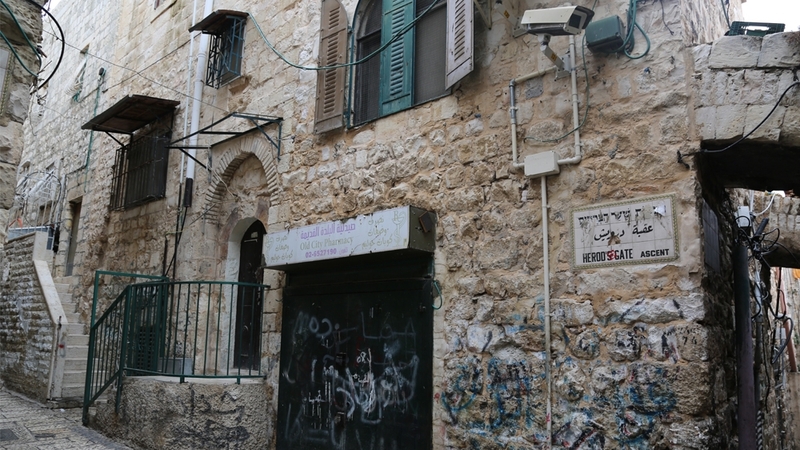 His former house located in a prime location just a two minute walk from the Holy al-Aqsa Mosque now reportedly belongs to Ateret Cohanim – a settler organisation whose purpose is to Judaise the Old City and its surroundings. Joudeh holds the title of key holder of the Church of the Holy Sepulchre in the Old City, one of Christianity’s most sacred sites. His ancestors have served as custodians of the keys since the 12th century. 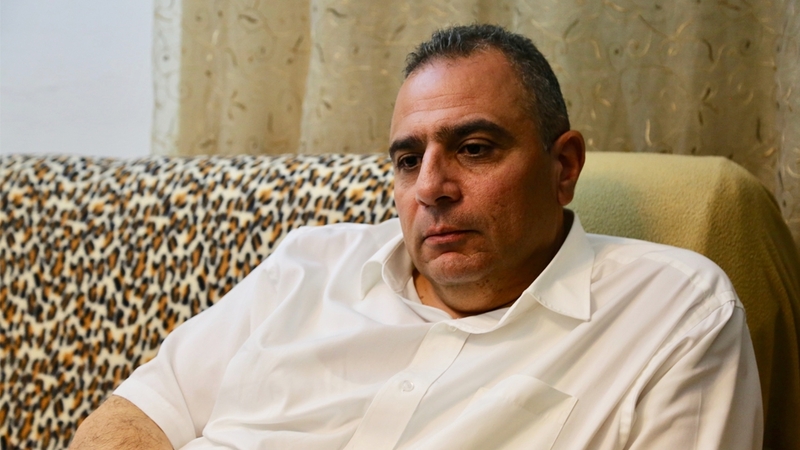 Not only has his family’s reputation been damaged and is under pressure to relinquish the key, but Joudeh has also received death threats from fellow Palestinians over the sale, a grave crime. Under PA law, the selling of land and property to Jews is illegal. 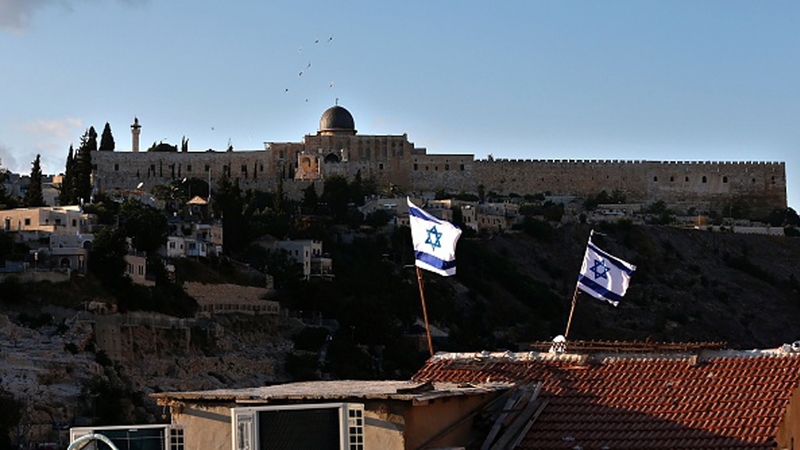 The laws aim to protect Palestinian properties from Zionist settler takeovers. While this isn’t the first time a Palestinian home has been transferred to a settler group through an intermediary, it has provoked a wave of reactions among the residents of Jerusalem as the case raises questions about the possible involvement of the Palestinian Authority (PA). Joudeh says he had done his due diligence to make sure his house ends up in safe hands. He says he was first approached in 2014 by Fadi Elsalameen, an American-Palestinian activist from Hebron known for his criticism of Palestinian President Mahmoud Abbas and the PA’s corruption, and a non-resident fellow at the Foreign Policy Institute at John Hopkins School of Advanced Studies. Since it was Nabil Jaabari, a respected leader and chairman of the board of Hebron University who had suggested Elsalameen, Joudeh felt confident that he had a trustworthy buyer. Through his contacts in the Gulf, Elsalameen learned that an Emirati business conglomerate was interested in protecting Palestinian homes from settlers and that they would transfer $2.5m as a grant to buy the house. However, shortly after Elsalameen proceeded with a down payment of $1.5m, the PA reportedly froze his bank funds for allegedly having ties with Mohammed Dahlan, a former Gaza security chief living in exile in the UAE and Abbas’ most bitter rival. With Elsalameen unable to transfer the rest of the money, Joudeh cancelled the contract. Elsalameen, however, has denied accusations of being Dahlan’s proxy. “I’m not a part of Dahlan’s political movement, I’m not part of Dahlan’s political orbit, I do not work for Dahlan. I have nothing to do with any political work for Dahlan whether inside or outside of Palestine,” Elsalameen told Al Jazeera. Joudeh was then contacted by Khaled Attari, a Palestinian businessman. He’s considered to have close ties with the PA, particularly its intelligence chief Majed Faraj, according to Israel‘s Haaretz newspaper. Prior to making the deal with Attari, the PA’s appointed governor of Jerusalem at the time, Adnan Husseini, gave Joudeh the green light to sell his home to Attari. It’s a standard practice for Jerusalemites to confirm with the governorate prior to selling one’s home, as it consults with the PA’s specialised security forces, who complete a check on the buyer. Since the PA had given their blessing, Joudeh sold the house on April 23, 2018 to Attari. The same day, Attari transferred ownership of the home from his name to his company, Daho Holdings, registered in the West Indies to save on taxes, Joudeh said. Some six months later, settlers moved into the house. Ateret Cohanim had reportedly bought the house from Daho Holdings for $17m. Sheikh Abdullah al-Qam, the secretary general representing the families of Jerusalem, formed a committee to investigate the case. Qam told Al Jazeera they had obtained documents which prove that Attari did sell the home to settlers. The same month, the Israeli police arrested members of the committee, including Qam, for investigating the case, Qam said. Upon his release, Qam was told not to pursue the investigation. But this didn’t deter the group and they quickly planned for another session. This time, the PA intervened and made the same demand as the Israeli authorities, breaking up the committee, Qam told Al Jazeera. “I was asked by one of the official representatives of the PA, Adel Abu Zunied [to stop the investigation],” Qam said. “The PA gave their blessing and approval that the house would be sold to Khalid Attari… The $17m, where did it go? It went to the PA,” Qam alleged. The spokesperson for the PA’s security service could not be reached for comment. The problem of homes being leaked to settlers is emblematic of a larger problem – Jerusalem’s 330,000 Palestinians turning into “political orphans” due to the absence of a “unified political leadership that can guide” them, as journalist Daoud Kuttab wrote in his article about the case. Khaled Abu Arafeh, former minister for Jerusalem affairs during the 2006-2007 Palestinian government led by Hamas, told Al Jazeera that the PA should submit formal complaints for legal action to be taken against Israel as it had breached the Oslo Accords. “Contracts between the local civilian population and the occupying power are considered null and void under international law,” Arafeh said, noting that this includes contracts with settler organisations as they are funded by the Israeli government. “It is also the responsibility of international organisations to uphold their commitments towards Jerusalem, to implement the relevant international agreements that consider Jerusalem as occupied land, and to not leave Jerusalemites under the mercy of occupying forces,” Arafeh said. Al Akhbar news reported in 2016 that eight of the 10 houses on the same street as Joudeh’s former home had already been leaked to settlers over the past few years. 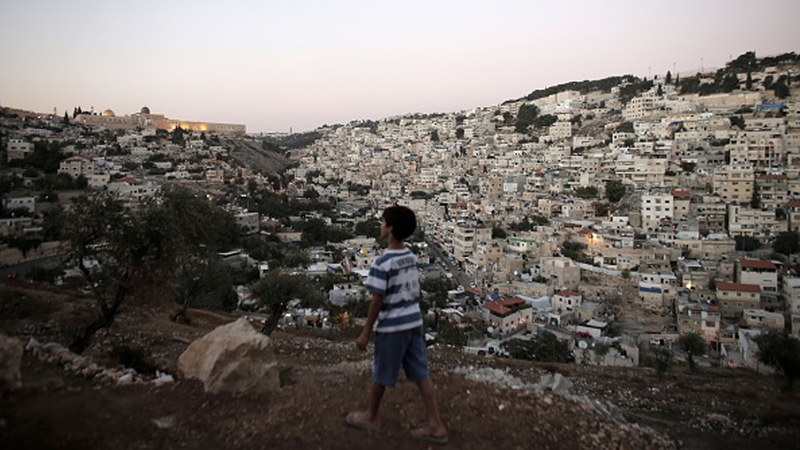 Some 2,500 settlers currently live in about 100 buildings in Palestinian neighbourhoods in and around the Old City. Fakhri Abu Diab, spokesperson for a local committee defending Palestinian properties in Silwan just outside the Old City, told Al Jazeera that a new, independent body is needed, run by renowned individuals and institutions in Jerusalem in order to properly vet potential buyers and make sure the homes remain in safe hands. However, their calls for a new body have gone unanswered for years from the Palestinian leadership including the governor of Jerusalem, Abu Diab said. A similar situation arose in 2014 when a Palestinian businessman from Israel offered to buy Palestinian homes in Silwan. The buyer presented himself as having connections with wealthy businessmen in the Emirates and claimed that the properties would be used to house Muslim tourists visiting the holy al-Aqsa Mosque, according to locals. After the sale was made, settlers accompanied by police and armed guards moved into their homes. “It was the biggest deal of its kind to have taken place in Silwan when 27 houses were sold to him at once,” Abu Diab said. According to him, there are currently 72 settler housing units in Silwan, 43 of which were leaked to settlers. Palestinians are in a difficult position as they resort to selling their homes in order to make ends meet amid crippling poverty. 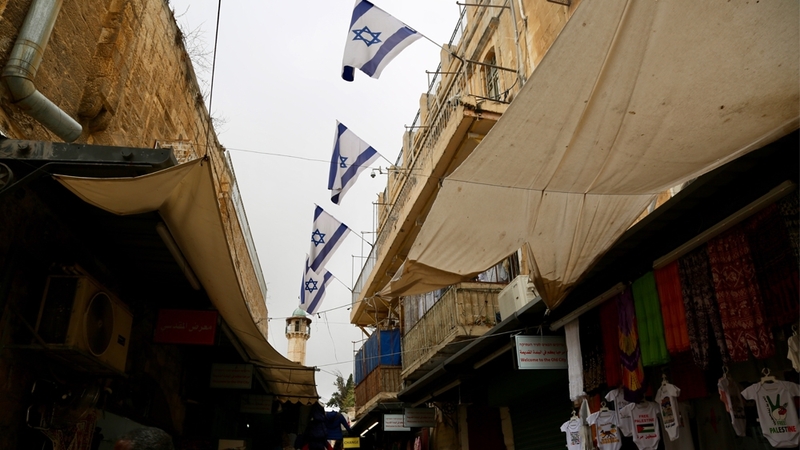 Eighty-two percent of East Jerusalem residents live below the poverty line. “It is one thing when the occupation confiscates or demolishes your home by force, but it’s another when it comes in the form of being presented to settlers on a gold platter,” Abu Diab said. Farah Najjar contributed to this report.